The committee says: "Welcome to Berlin!" 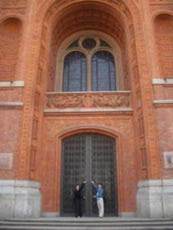 For the opening ceremony we will lead you to the famous city hall "Rotes Rathaus" of Berlin. Built in 1870 between the Alexanderplatz and Nikol ai-quarter it is now the office of the major. After the opening ceremony we will move to a club to the nearby "Hackesche Höfe". 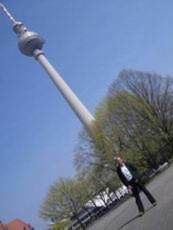 On the way you can visit the Berlin Television Tower. It is 368 meters high, the visitors platform rises 208 meters from the ground and you have an amazing view over Berlin by night!